Hand finished dry cleaning without the hassle of rushing to the cleaners. The Shirt Butler provides eco-friendly (where suitable), hand finished dry cleaning and garment care without the hassle of rushing to the cleaners. Existing Customers: Please use your Black VIP Butler Bag for Dry Cleaning & Garment Care. For items that could normally be laundered using our Wash & Fold or Wash & Iron services but require a higher level of attention (i.e. stain removal, delicate items, individual care, air/hang dry, hand wash, cold wash, alterations, repairs etc.) please use this Dry Cleaning and Garment Care service where each item will be individually treated. 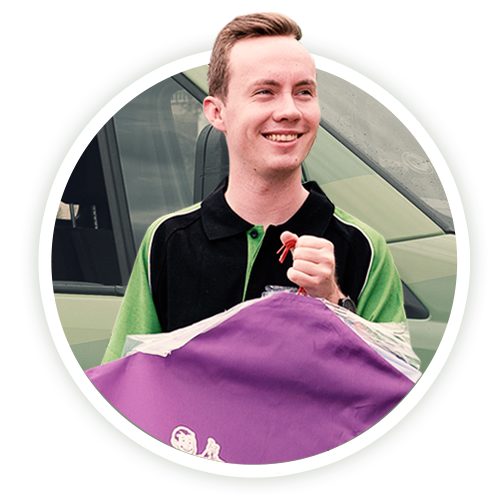 When placing your order feel free to place a note in your bag with any special instructions or make note of any stains or issues that our cleaning experts should be aware of. for full trackability – ensuring no loss of items.